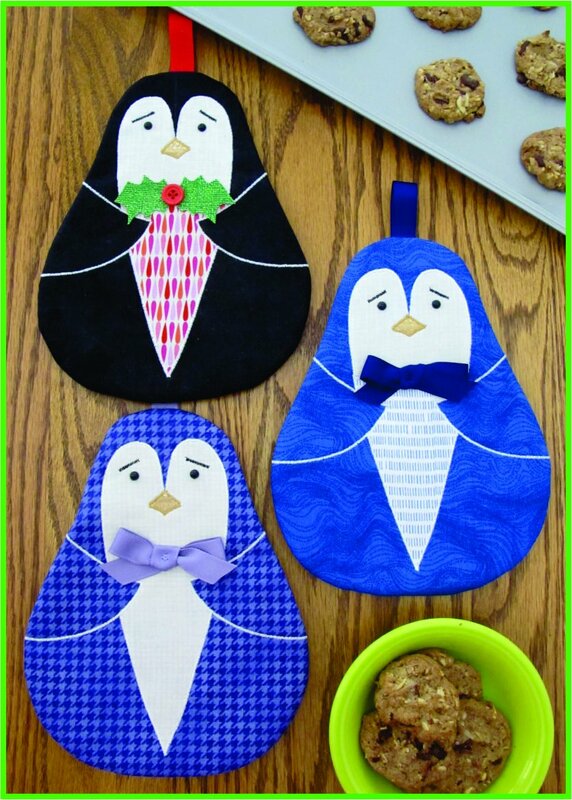 Sew up very CUTE Penguin Pot Holders/Hot Pads with a lot of heart! Super easy - you can make a variety of designs by your fabric choices! With or without a Vest, or (for the Holidays) with a festive Vest and a Holly Bow Tie! Approximate finished size 9” x 7”.